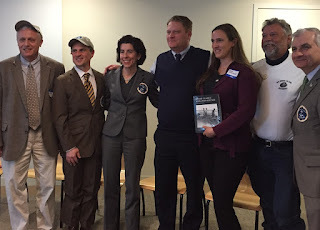 Speakers at the Quahog Week kick-off were DEM Agriculture chief Ken Ayars; First Gentleman Andy Moffit; Governor Gina Raimondo; Karsten Hart of Newport Restaurant Group; Sarah Schumann, author of RI's Shellfish Heritage; Mike McGiveney of the RI Shellfishermen's Association; and US Senator Jack Reed. Pam Tameo, West Bay Anglers fundraising chair, with one of the Lobster Raffle prizes. The fishing club raised over $12,000 this winter for the Impossible Dream and their ‘Take a kid fishing’ Foundation. Ah, the cherished Rhode Island quahog. 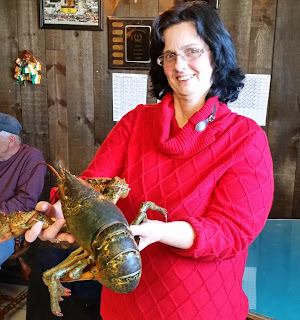 It was recognized this week along with the shellfishermen and women that harvest them when Governor Gina Raimondo declared March 21-27, 2016 Quahog Week in Rhode Island. The Governor joined state and food-industry leaders at a special celebration at Save the Bay Tuesday to mark the quahog industry’s importance to the state’s history, culture and economy and to encourage its year-round use. Over 27 million quahogs were harvested form Narragansett Bay and Rhode Island coastal waters last year. Throughout Quahog Week sixteen restaurants across the state will offer special menu selections that will feature the native Rhode Island clam. Visit www.seafoodri.com for details on Quahog Week, a list of participating restaurants and information about the RI Seafood brand. The West Bay Anglers, a fishing club located in Warwick, RI contributed $6,000 to Impossible Dream Saturday and $6,000 to their ‘Take a Kid Fishing’ Foundation. The Foundation funds will be used to take over 300 children fishing on six separate fishing trips this summer on the Seven B’s party boat out of Galilee, RI. Each week the West Bay Anglers would raffle off tables and tables of food, consumer electronics, fishing gear and a host of other items. Each Saturday event would last over two hours. Traditionally, they were held at the FOP Lodge, however, due to Apponaug construction and difficult access, the venue was moved to the Firefighter’s Hall in Warwick this year. For information about the fishing trips and raffles contact Pam Tameo at wbapamtam@cox.net. Kayak fishing is the fastest growing sector in the industry and fishermen in Rhode Island are no exception. In fact, a new organization called Ocean State Kayak Fishing (OSKF) formed last year and has really taken off. OSKF was started with a handful of fishing buddies to communicate and plan fishing trips. The group now serves as a place for people to find new fishing partners, post photos and ask questions. OSKF has a YouTube page with videos of fishing trips, reviews and helpful do it yourself videos. The goal of the organization is to be a one stop shop for all kayak fishing information and does not have a membership fee. OSKF has a season long striped bass tournament for the largest striped bass. For information visit their website at www.oceanstatekayakfishing.com . Hats off to Capt. Rick Bellavance, president of the Rhode Island Party & Charter Boat Association and some of his fellow association members (I am happy to be one of them) that pioneered the electronic recording of fishing catch and effort on charter boats as part of a pilot project they ran for two years. Last year Capt. Bellavance and his colleagues worked with software developers to perfect the application making it work to satisfy NOAA’s criteria for mandatory Vessel Trip Reporting (VTR) that charter boat and commercial fishing vessels with federal fishing licenses must complete on each fishing trip. The software has been approved for use by NOAA’s Greater Atlantic Region by the Atlantic Coastal Cooperative Statistical Program (ACCSP) as a mobile electronic vessel trip reporting (eVTR) application for the purpose of eVTR submission to the Greater Atlantic Region. This development is big in that it will provide federal and state fish managers with a reliable and robust electronic data source to calculate fishing activing for commercial fishing vessels and party & charter boats participating. The manual VTRs required federal license holders to fill out a multi-part carbon paper form and file it via snail mail on ever trip taken. Capt. Bellavance said "Designed by fishermen and utilizing the latest technology, eTrips/Mobile dramatically reduces our reporting burden while providing more accurate and timely industry data to the states and NOAA. The eTrips/Mobile application will increase data accuracy and make data available immediately to fisheries managers, improving their ability to respond to changes in the fishery in a more timely way." The software is designed to work in both commercial and charter/headboat fisheries, and is free for anyone who wishes to use it in jurisdictions that have adopted electronic trip reporting through the Standard Atlantic Fisheries Information System (SAFIS). The app can be downloaded from the Apple, Android, and Microsoft app stores. Training videos are available on the ACCSP website. Visit www.accsp.org for information on the eTrips/mobile application or contact Capt. Rick Bellavance at makosrule@verizon.net. Pabst Blue Ribbon announced that its 5th annual Northeast Fishing Tournament will be a catch and release event in an effort to make the tournament more sustainable. The 2016 Tournament will start on Sunday, June 12 and run through Saturday, August 20, 2016. Registered anglers will compete in three divisions: Striped Bass, Bluefish and Fluke. Participants are eligible to catch their fish in the salt waters of Maine, New Hampshire, Massachusetts, Rhode Island, Connecticut and Long Island. To be eligible for the season ending cash prize, a minimum of three fish must be caught, released, and submitted to the tournament office. The combined length of the longest three fish submitted will make up the angler’s total entry. At the end of the tournament, an overall grand prize of $5,000 will be awarded in each of the three divisions along with a second place prize of $1,500 and a third place prize of $500. There is also a chance to win a weekly prize of $300, awarded to the angler with the longest fish submitted that week. Registrations are open at http://www.pbrfishing.com with a registration fee of $35 per adult angler, $20 for Juniors (under the age of 15) and $20 for seniors (over the age of 65.) All participants receive a limited edition PBR ruler to use for submissions, a t-shirt, hat, koozie and keychain. The Narragansett Chapter of Trout Unlimited (TU225) will meet Wednesday, March 30th, 6:30 p.m. at the Coventry/West Greenwich Elks Lodge, 42 Nooseneck Hill Road (Rte. 3, Exit 6 off of Rte. 95), West Greenwich. Bob Mallard, owner of Kennebec River Outfitters, Maine will be the guest speaker. Mallard is the author of 25 Best Towns to Fly Fish for Trout, a member of the Winston Pro Staff and will focus his presentation on catching Maine Brook Trout, and the lakes and ponds in which they live. Contact Chapter president, Ron Marafioti, at (401) 463-6162, with questions. 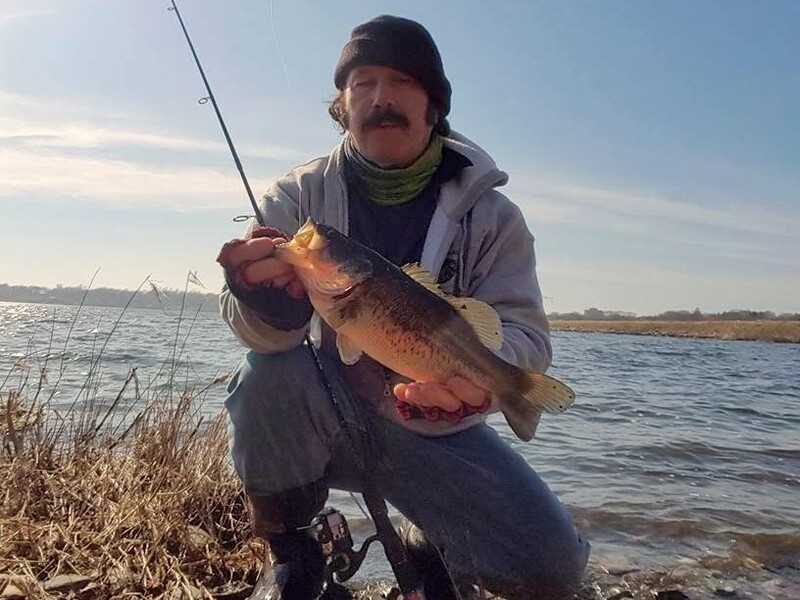 First largemouth bass: John Migliori with his first largemouth of the season caught at Big Pond in Newport last week using a Shadeycreek lure. Hillary Kenyon of Groton, CT attends mate school run by Capt. Charlie Donilon of Snappa Charters. This Monday a workshop was held at the URI Bay Campus to review the stock status and proposed regulations on Atlantic menhaden, regulations pertaining to lobster, crabs and other crustations as well as commercial gill net regulations. It was a proposed option to reduce the commercial threshold in the Narragansett Bay Atlantic menhaden management area that got the attention of recreational anglers. An Atlantic menhaden industry proposal for the Bay management reduced the Narraganset Bay biomass trigger form the 1.5 to 2-million pound range to 1.0 to 1.5-million pounds (a 500,000 pound reduction). The proposal would open the Bay management area to commercial fishing when there are 500,000 pounds less of Atlantic menhaden in the Bay. Presently, the biomass is assessed by air with trained pilots counting the number of schools and fish in the Bay on a regular basis. The management area in the Bay opens and closes depending on the number of fish in the Bay compared to the biomass threshold. Other workshop highlights included a discussion on new proposed regulations for Johan and Atlantic rock crabs. Johan crab regulations being suggested by the Atlantic States Marine Fisheries Commission (ASMFC) where proposed for Rhode Island. Fishermen expressed concern about the regulations not taking into consideration the uniqueness of the crab fishery in RI and tying it to lobster fishery regulations. Others felt the new proposed regulations did not consider the uniqueness of the RI State fishery. New proposals are expected to surface in time for the March 23 public hearing when all of the above regulating will be offered for public comment. As part of a continued effort to support growth of the local food economy, Governor Gina Raimondo and First Gentleman Andy Moffit, along with state and food-industry leaders, will kick off Rhode Island’s first Quahog “Restaurant” Week on Monday, March 21, 2016 during a special launch event at Save the Bay. For more information about Quahog Week and for a list of participating restaurants and events, visit www.seafoodri.com or like the Quahog Week page on Facebook. Join the conversation in social media by tagging the Facebook page or @RhodeIslandDEM on Twitter; share recipes, quahogging stories, and/or favorite restaurants and quahog dishes. Capt. Charlie Donilon of Snappa Charters, Pt. Judith will be kicking off his second make school on April 2nd and 9th with six hour long in classroom sessions at Centerville Commons, 875 Centerville Road, Warwick, Bld. 2, Suite 5. The school will culminate with an on the water practicum aboard the charter fishing vessel the Snappa the week of May 7th. The cost of the school is $195. Interested students should contact Capt. Donilon at 401.487.9044 or snappacharters@cox.net. “We hope to place as many as ten students this year with summer jobs aboard party and charter boats. And a new twist, we will be offering a scholarship for the program through a local technical high school. It will likely take the form of an easy contest.” said Donilon. Contact Capt. Donilon for details on the scholarship program. Mate School teaches students who want to be mates on charter and party boats how to prepare the vessel to fish, how to take care of and prepare fishing gear, how to teach customers how to fish, how to treat customers and much more. The program as it is designed now includes two six hour in-classroom sessions and a five hours on a trip aboard Capt. Donilon’ s charter fishing vessel the “Snappa”. Additional on the job training would occur aboard the Snappa or on another charter boat when you are hired. Mate School aims is to introduce students to what it is like to be a mate and what is expected of them as a mate on a charter or party fishing boat. Angler Jack Leyden of North Kingstown with a 43 pound amberjack he caught last week when fishing in the Miami, FL area in 200 feet of water. It was about 8:00 p.m. Monday night at the URI Bay Campus when the Rhode Island Marine Fisheries Council (RIMFC) finished weighing in on eighteen different fishing regulations for the 2016 season. Their recommendations along with input from public hearings and staff input from the Marine Fisheries Division will now be passed along to Janet Coit, director of the Department of Environmental Management (DEM), for final regulation decisions. Striped bass regulations will likely be the same as last year, one fish/person/day with a 28” minimum size. However, this year recreational anglers will have to remove the entire right pectoral fin of the fish they catch and keep that are over 34”. 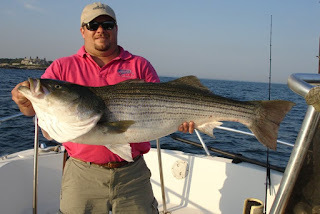 The regulation was suggested to deter commercial striped bass poaches from fishing in a recreational mode, stock piling fish and then selling them at another time or in another jurisdiction. Licensed fish dealers may not offer for sale any striped bass (minimum commercial size is 34”) where the entire right pectoral fin has been removed. The aim is to have similar laws in both RI and MA. Summer flounder regulations remain the same as last year, 18” minimum size, 8 fish/person/day with a May 1 to December 31 season. Recreational tautog regulations also remain the same as last year, 16” minimum size, 3 fish/person/day form April 15 to May 31 and August 1 to October 14; 6 fish/person/day October 15 to December 15, a maximum ten fish/vessel limit that does not apply to party and character boats. Scup fishing regulations remain at a 10” minimum from May 1 to December 31, 30 fish/person/day. Seven special shore areas remain in place where the minimum size has been reduced to 9”. Visit www.dem.ri.gov for a list of areas where you can catch 9” scup from shore. A special party and charter boat season from September 1 to October 31 allows them to take 40 fish/person/day in this time period. Black sea bass (BSB). RI recreational anglers need to take a 23% BSB reduction this year mandated by the Atlantic States Marine Fisheries Commission. The Council approved as their fists choice a 14” minimum size, with a split season, 3 fish/person/day from July 22 to August 31 and five fish/person/day from September 1 to December 31. This recommendation was made contingent upon New York State approving the same regulation so RI and NY boats would not have a regulation conflict as they often fish the same fishing grounds. If not approved by NY the Council recommended a party and charter boat Letter of Authorization (LOA) option that was 7 fish/person/day from September 1 to December 31 for charter and party boats with a private angler limit of 3 fish/person/day form July 20 to December 31. Learn how to fish for striped bass in the wash… the surf and waves on Tuesday, March 15, 6:30 p.m. at the Rhody Fly Rodders seminar Riverside Sportsman’s Association, 19 Mohawk Drive, East Providence, RI. Capt. Eric Thomas of Teezer77 Guiding Services will explain how to fish for stripers in surf and breaking waves focusing on how to stay safe as you maneuver your boat and present your fly or lure to have the best chance to catch a striped bass. For information contact Peter Nilsen at pdfish@fullchannel.net. The Atlantic States Marine Fisheries Commission (ASMFC) released its 2015 Annual Report to the public last month. The report can be found at http://www.asmfc.org/files/pub/ASMFC_AnnualReport_2015.pdf. The Annual Report describes the Commission’s activities and progress in carrying out its public trust responsibilities for the marine fisheries under Commission stewardship. This includes species commonly fished by recreational anglers in Rhode Island such as summer flounder, striped bass, black sea bass, tautog, Atlantic menhaden, scup and many others. Included in the report are figures displaying the historical trends in stock status or landings for each species managed by the Commission. Also provided is a summary of the significant management actions taken by Commissioners in 2015 to maintain and restore the abundance of Commission managed species. At press time we were checking on the herring run from Greenwich Bay and Apponaug Cove to Gorton’s Pond in Warwick. Herring make it their job to spawn in rivers and ponds in late winter and early spring. In fact herring have been in the Bay sometime now and they are heading for the rivers, likely moving up them in the next week or two. Conservationists, DEM, U.S. Fish and Wildlife have all focused on these spawning runs throughout Rhode Island, building fish ladders, eliminating obstacles and often times volunteers net and scoop herring over obstacles so they survive to spawn and continue to come back year after year. This week Richard Geldard of Warwick called to relate a herring run that looks like it will fail unless State officials and contractors at an Apponaug, Warwick road construction project take action. The Wayside Inn, 72 Wayside Inn Road, Sudbury, MA will host its ninth annual Fly Tying Demonstration and Bamboo Rod Building on Sunday, March 20th from 10:00 a.m. to 4:00 p.m. The event will feature amateur and professional fly tyers. Fred Kretchman from Kittery, ME is a professional bamboo rod builder and sole appraiser for Lang Auction, for bamboo rods. He will show how the art of building bamboo rods. Mr. Tom Foley of Tom's Custom Framing will have an exhibit of framed classic flies. Tom Foley and Joe Simone will demonstrate live aquatic insects, an exhibit that is a big hit with children and families. Flies hand-made by exhibitors will be available for purchase, with all the proceeds benefiting the spring restocking of Josephine’s Pond. For information contact Armand Courchaine at (508)-982-1931 or email ajflyfish@yahoo.com. In 2006, Josephine's Pond, located on the grounds of Wayside Inn's 120 acre historic site, was dredged and is stocked with trout yearly. A group of "The Friends of Josephine's Trout Pond", was established to promote care and conservation of the pond, and to educate the public to the thrill of recreational fly fishing. How do fish feel about warming water? Capt. Tom Pelletier, Quaker Lane Outfitters, demonstrates fishing rod and reel at the fishing show. I can only imagine how the fish must feel. The water is warming and acidification is taking its toll. They all feel the difference, but how they react to it is key. Some species have the ability to move away from the effects of warming water and others don’t. And then again, some species like the warm water and it produces greater abundance (like black sea bass), yet others do not like warm water and leave the area if they can (cod), those that cannot leave the area become less abundant and could eventually disappear from the area (sea scallops and quahogs). A study released by the National Oceanographic & Atmospheric Administration (NOAA) last month titled the “Northeast Climate Vulnerability Assessment” now sheds some light on how 82 species in northeast waters (many fished by recreational and commercial fishermen) are impacted by climate change. Fortunately for us Dr. Jonathan Hare, one of the world’s most respected scientists studying climate change and its impact on fish, lives right here in Rhode Island. Dr. Hare, fisheries oceanographer at NOAA Fisheries’ Northeast Fisheries Science Center (NEFSC), is director of NOAA’s Narragansett Lab and is the lead author of the study. “Our method identifies specific attributes that influence marine fish and invertebrate resilience to the effects of a warming ocean and characterizes risks posed to individual species. The study will help us better account for the effects of warming waters on our fishery species in stock assessments and when developing fishery management measures.” said Dr. Hare. The study method for assessing vulnerability categorizes species that are “generalists” as less vulnerable to climate change than are those that are “specialists.” For example, Atlantic cod and yellowtail flounder are more generalists, since they can use a variety of prey and habitat, and are ranked as only moderately vulnerable to climate change. The Atlantic sea scallop is more of a specialist, with limited mobility and high sensitivity to the ocean acidification that will be more pronounced as water temperatures warm. Sea scallops have a high vulnerability ranking. The study also goes a long way to further explain what is happening in our area with warm water fish being more abundance and cold water fish less abundant in our area. The study’s summary of results helps put the species rankings into contest. The specie summaries, that discuss what is known about the effects of climate change on the species, will be covered in future articles, particularly those species commonly fished by recreational and commercial fishermen in our area. The study appears in its entirety on PLOS One, an online scholarly science journal at http://journals.plos.org/plosone/article?id=10.1371/journal.pone.0146756. Hats off to Steve Medeiros and the Rhode Island Saltwater Anglers Association for a successful and very special fishing show. “Fishing for Spring Striped Bass” was the topic at Monday night’s panel discussion at the West Valley Inn, West Warwick. Striped bass experts Capt. 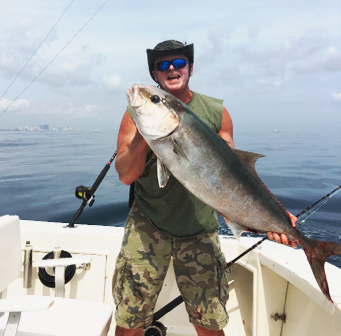 Randy Bagwell of River Rebel Charters, Capt. 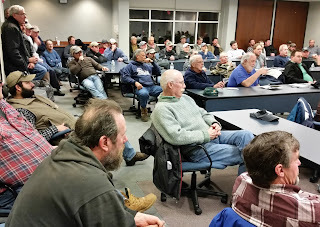 Eric Thomas of Teezer 77 Guide Service and local striper surfcasting expert Dennis Zambrotta conducted the panel discussion on how to land striped bass form shore and boat at the Rhode Island Saltwater Angler Association meeting. First, you have to make it happen. Be prepared to do a number of different things to catch spring striped bass as every day is different. What works one day may not work the next day. Be prepared to live line menhaden, fish with chucked menhaden, soft plastics, troll with umbrella rigs, etc. What appeals to the fish today may be far from what they want tomorrow. 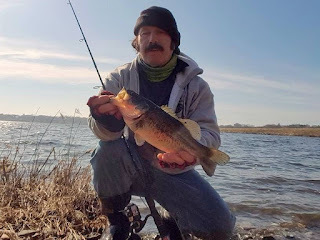 Second, most spring bass are in skinny water… two to five feet close to shore when casting lures and up to 25 feet when fishing with live bait, fresh chunked bait or when trolling. Third, fish early morning or at night. Night brings darkness and poor visibility so bass feed aggressively as they believe they are safe from predators. Dawn provides still water so you can actually see the bait and fish movement on the surface. And fourth, fish where there is a lot of water movement. Ledges as well as channel edges or channel pads where fish may be staging to ambush bait. Fish choke points where the land narrows and water rushes through pushing and tossing bait around. Like the channel pads of the shipping channel from Sandy Point Prudence Island to downtown Providence. Not much fishing has occurred as bad weather continued to keep boats in port. When they got out the fishing was only fair. Party boats sailing for cod fish at this time include the Frances Fleet at www.francesfleet.com , the Seven B’s at www.sevenbs.com, and the Island Current at www.islandcurrent.com. 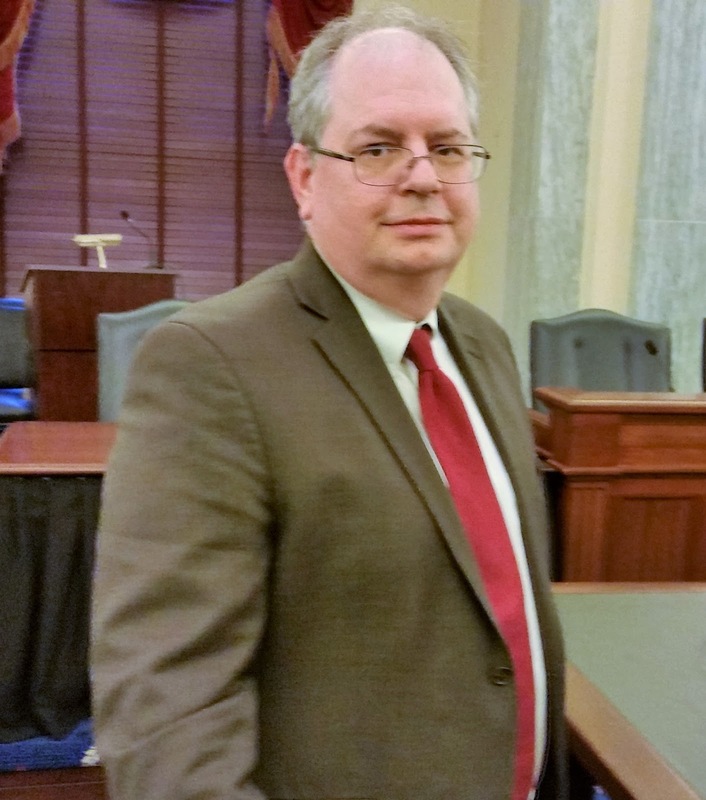 Samuel D. Rauch III, Deputy Assistant Administrator for Regulatory Programs at NOAA after testifying at a U.S. Senate fisheries hearing in Washington, D.C. last week. The Magnuson-Stevens Act (MSA), the nation’s landmark fisheries law, is now 40 years old. I attended a senate hearing last week in Washington, DC to review the MSA. Members of the oceans subcommittee of the Senate Commerce, Science and Transportation Committee asked questions and heard testimony on the successes, challenges and forward path of the law that had been reauthorized in 1996 and 2006. Samuel D. Rauch III, Deputy Assistant Administrator for Regulatory Programs at the National Oceanic and Atmospheric Administration (NOAA), offered testimony. The bipartisan support of the MSA was very uplifting. Many Senators noted the MSA has been very successful rebuilding fish stocks and is a global model for sustainable fisheries. Some Senators related fisheries shortcomings that exist under the MSA such as the ability to handle challenges in fish populations due to climate change and warming water, the devastation of the ground fishery in the Gulf of Maine, the need to be more responsive to fishermen and fishing communities. Samuel Rauch of NOAA addressed the climate change issue by relating work NOAA scientists have done in this area as well as relating how many of the other issues raised by Senators were being addressed or could be addressed within the existing MSA law. Congress is exploring new legislation to revise or reauthorize the MSA, many in the fishing community believe it is fine the way it is and that improvements can be made within the existing law. Others believe that reauthorized or not, MSA needs safeguards added to address key issues such as eco-system based management. Conservative black sea bass regulation options and a controversial commercial striped bass season start date brought about a sixty fishermen out to DEM’s Public Hearing Tuesday night. Capt. Eric Thomas of Teezer 77 Guide Service will be one of three panelists on “How to catch spring striped bass” Monday, February 29, 7:00 p.m. at the West Valley Inn. Recreational anglers and commercial fishermen met Tuesday night with the Department of Environmental Management’s Marine Fisheries Division at a public hearing to express their thoughts on regulation options for the 2016 fishing season. A 23% black sea bass (BSB) reduction mandated by the Atlantic States Marine Fisheries Commission (ASMFC) and the start date of the commercial striped bass season were two meeting highlights that created spirited discussion. Seven different recreational black sea bass options were discussed but the one option that won the favor or both private anglers and party and charter boat captains was an option suggested by ASMFC Rhode Island representatives after initial conversations with fish mangers in Connecticut and New York. The option, that would be the same for RI, CT and NY state receiving good support, was a 14” minimum size BSB, with three fish/person/day between July 22 to August 31 and five fish/person/day between September 1 to December 31. Recreational anglers liked the idea as it spread out the number of fish throughout the season, charter and party boats liked the enhanced catch limit compared to other options on the table (although last year’s fall/winter limit was seven fish). Also, having a consistent regulation between the three states would even the playing field for party and charger boats in the tristate area. The hope is the CT and NY will agree to the tristate agreement. Another meeting highlight was the start date of the commercial striped bass season. Bay commercial fishermen wanted an earlier start to the season as striped bass first migrate into the Bay in May (following Atlantic menhaden that spawn in Rivers in the upper part of the Bay). Bay fishermen wanted a May 15 season start date to capitalize on early spring stripers. However, those commercial fishing who fish in the lower part of the Bay, off coastal shores and around Block Island wanted a later season start of June 8. Striped bass are more prevalent in these waters starting in mid-June and July. All fishing regulations options with comments from the public hearing will go before the Rhode Island Marine Fisheries Council (RIMFC) on March 7 for their review and recommendation. The RIMFC recommendations will all public hearing input is then presented to and reviewed by Janet Coit, DEM director, for decisions on final 2016 fishing season regulations. If you like to fish for spring striped bass don’t miss the “Fishing for Spring Striped Bass” seminar at the RI Saltwater Anglers Association (RISAA) meeting Monday, February 29, 7:00 p.m. at the West Valley Inn, West Warwick. Striped bass experts Capt. 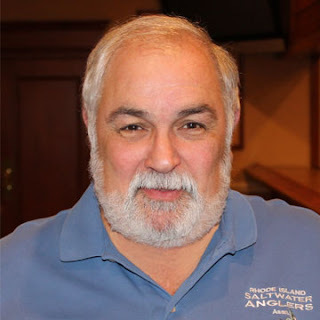 Randy Bagwell of River Rebel Charters, Capt. Eric Thomas of Teezer 77 Guide Service and local striper surfcasting expert Dennis Zambrotta will conduct a panel discuss on how to land these spring prizes from shore or boat. Everyone is welcome to attend. Non-members are requested to make a $10 donation to the RISAA Marine Fisheries College Scholarship Fund and RISAA members attend free. Optional dinner served by the West Valley Inn from 5:30 p.m. to 6:30 p.m. Visit www.risaa.org for additional information. The Rhode Island School of Fly Fishing (www.RISchoolofFlyFishing.com) will be conducting a half-day fly casting clinic on April 23rd in Colt State Park, Bristol, Rhode Island. Check-in/registration will start at 8:00 a.m. with the classes running from 9:00 a.m. until noon. The instructors will be Capt. John Lemont, Capt. Bob Hines and Capt. Jim Barr. John and Jim are Certified Fly Casting Instructors as qualified by the International Federation of Fly Fishers/ Livingston, Montana. The class will be limited to fifteen (15) students so that we have a good instructor to student ratio guaranteeing considerable individual attention. The classes will consist of two tracks, one for beginners and the other for intermediate/advanced casters. Students are encouraged to bring their own equipment however rods will be available for students who do not have their own. The tuition for the class is $50 per student. For further information and registration please contact Capt. 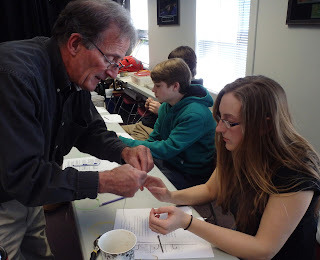 Jim Barr at the Rhode Island School of Fly Fishing, 401-465-8751, or email: JamesBarrRI@gmail.com. The Narragansett Chapter of Trout Unlimited (TU225) will hold its February 2016 monthly membership meeting on Wednesday, 24 February 2016, 6:30 p.m., at the Coventry/West Greenwich Elks Lodge, 42 Nooseneck Hill Road (Rte. 3, Exit 6 off of Rte. 95), West Greenwich, R.I.
Grover Fugate, a TU225 member and executive director of the Coastal Resources Management Council (CRMC) will present on Rhode Island’s Ocean Special Area Management Plan (Ocean SAMP). 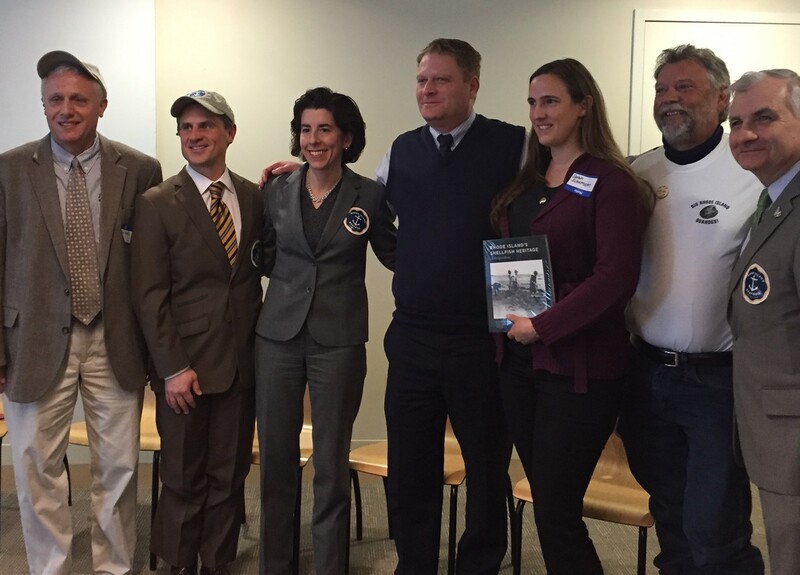 The program is Rhode Island’s ocean spatial plan for how to both develop and implement a program that gives Rhode Islanders a significant role in determining how the state’s offshore waters should be developed. The SAMP program as fully as possible tries to understand how the ocean waters off of Rhode Island are already being used by people and wildlife, develop regulations to minimize conflict between the varied uses, determine where offshore renewable energy should be sited and managed, and gain public approval and buy-in for the process and its future goals. The Ocean SAMP helped guide the siting of Rhode Island’s first offshore wind farm in state waters off Block Island and will direct the future siting of utility-scale wind farms in Rhode Island Sound. This plan is evolving into the leading national model for how to both develop and implement such a plan. Contact chapter president, Ron Marafioti, at (401) 463-6162, with any questions.